Below are some notable mentions of pro staff in the North Bay area. Dan Colomby has been fishing the famed waters of Lake Nipissing in North Eastern Ontario for over 20 years and began guiding in 2004 at the request of some of the local lodges. Dan has since been regarded as the guy to see when visiting Lake Nipissing. 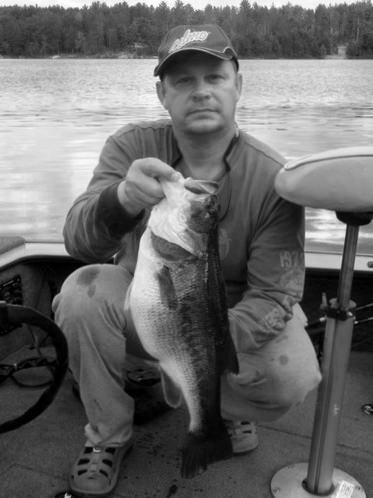 He’ll put you on everything from bass and walleye, to pike, gar pike, and fresh water drum. But his passion of course is muskies. Dan guides full time from the pike opener on the 3rd Saturday in May until freeze up in December. 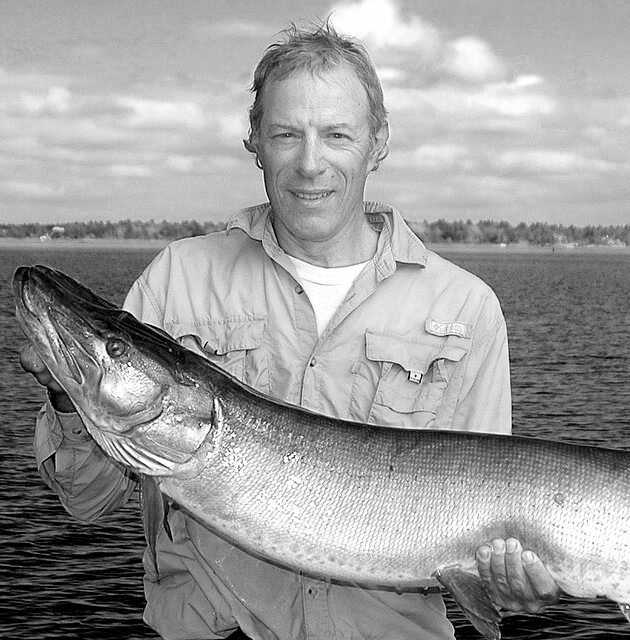 He’s guided the likes of Wisconsin musky hall-of-famer Larry Ramsell on several occasions and also has an episode of Pete Maina’s ‘The Next Bite’ to his credit, shot in 2007 on Lake Nipissing and aired on WFN in 2008. Dan has appeared in a feature article in Ontario Out Of Doors magazine with Gord Ellis, as well as contributing his own monthly articles to the Nipissing Reader on everything to do with fishing in North Bay. During the winter months you’ll find Dan working his ‘other’ job as a music composer/producer for television. His most recent TV contributions can be heard on the popular outdoor reality show “Survivorman” on the Discovery Channel and OLN. If you are interested in learning more about Dan Colomby, please feel free to visit his website www.nipissingmuskies.com. I fished since I could walk. I grew up in military camp in Poland surrounded by lakes and rivers. I have fished all species offered in those waters. 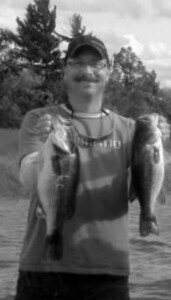 As an young adult I moved to Florida where I lived and joyfully fished for twenty years. I fished all species, salt, fresh and brackish waters of Sunshine State has to offer with a big number of record class caught. My dream was always to fish Canadian waters. To pursue this dream, twelve years ago, my wife and I bought a summer home on Lake Talon, just east of North Bay that we would visit for a few months every year. Along with our two children, we loved being here so much that we decided to move to Canada full time. I then opened North Bay Outfitters – a tackle store in North Bay. In addition to the huge variety of tackle lines, we offer the largest selection of the well-recognized Salmo lures you can find anywhere. I love sharing my knowledge and passion for fishing with others which is why I started offering full time guide services in the area. I consider myself a multi species angler and favor artificial baits over live bait. I have been lucky to live on a lake that offers Muskie, Pike, Walleye, Smallmouth, Largemouth Bass and Lake Trout. Every year I catch a number of Muskies of 50″ plus, 56″ being the biggest so far, plentiful of good pike, 5 lb bass (my profile bass photo is an actual 7,5 lb Talon Lake Largemouth from 2011) and a lot of Walleye pushing 30″. One of my favorite times is night Walleye fishing in June, July and August around a full moon. If you have never tried it you don't know what you are missing; glass like water, loons singing and beavers trying to give you a heart attack with their tails splashing next to the boat. Not to mentionthat is of course over and above the biggest walleye the lake has to offer, occasional Muskie, huge pike or 2lb plus rock bass slamming your lures.